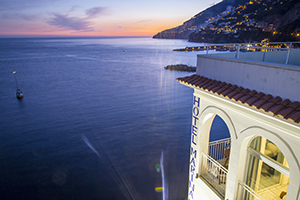 The Marina Riviera has been a part of the stunning Amalfi Coast line since 1880. 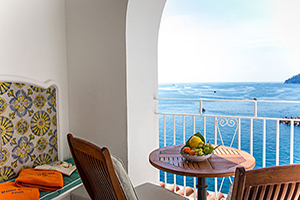 Located in the prestigious XIX century building, the Marina Riviera is just steps away from the beach and the historic center of Amalfi. The hotel features 32 sea-view rooms with an indoor/outdoor lounge and a rooftop pool overlooking the majestic ocean. 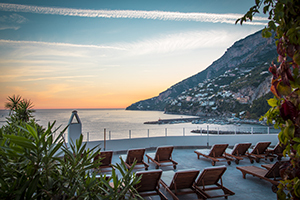 Superb location for those who do not want to drive the Amalfi Coast, two minutes walking distance to the center of town, and across the road from the public beach. 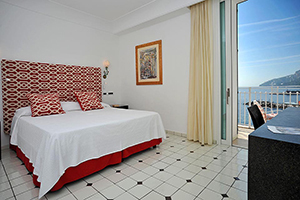 34 spacious rooms and suites, all with sea-views and open windows. Rooftop heated pool with a solarium, steam room, and emotional shower. 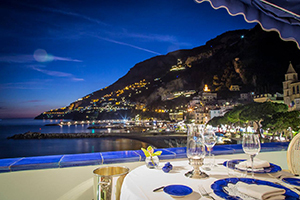 Eolo Restaurant is one of the finest on the Amalfi Coast, enjoy local dishes on a lovely terrace with beautiful panoramic views of Amalfi. 5 minutes access to water taxis, hydrofoil to Capri and Ischia. Daily excursions to Pompeii, Naples, and more available. It left them with an indelible imprint and they consider it the best vacation they have ever had. All accommodations with sea views and open windows. 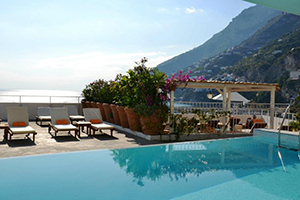 Walking distance to the center of Amalfi, the promenade and beach. Satellite TV (flat screen with DVD player in suite categories). Indoor/outdoor lounge with snack bar, daily buffet breakfast in the lounge. 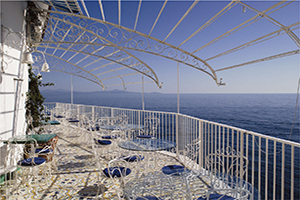 Breathtaking sea views from the terrace and the rooftop solarium.